This article is 2490 days old. Friday is social media day in Windsor, and the WEtech Alliance is switching it up by mixing social media with chalk art. 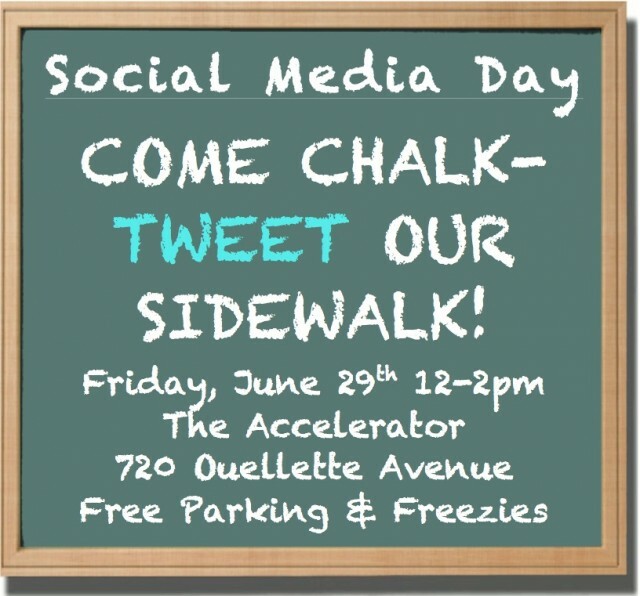 Outside of the Downtown Business Accelerator located at 720 Ouellette Avenue, WEtech members will be attempting to create the largest chalk-Twitter display Windsor has ever seen. You can drop by during your lunch break anytime between the hours of 12pm – 2pm on Friday and share your thoughts on the sidewalk in front of the building in 140 characters or less. Free parking and #freezies will be offered to everyone!